These days, it’s incredibly difficult to find an actress who can pull off any role that is put in front of them. While many actresses do in fact try to be versatile when it comes to projects, there are only a few that come to mind that can truly put their stamp on it. Jessica Chastain is one of those actresses. Through her short lived years in the bright light of Hollywood, she has continuously shown her ability to adapt to her surroundings and deliver top-notch performance and top-notch performance. For me personally, and everyone around me knows this, but she’s is probably my favorite working actresses in the business right now. She has many roles that back up my argument, but it’s one of her many upcoming that has me possibly excited as ever. 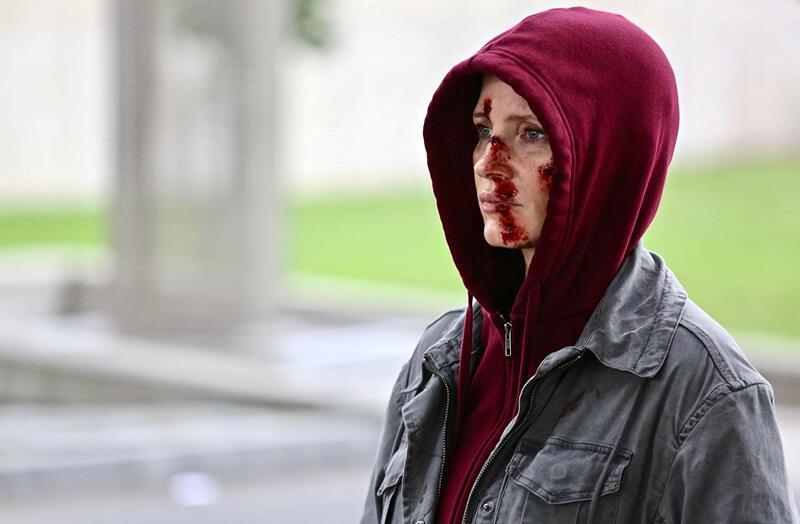 The first official image for Eve has made its way online, which shows a bloody Chastain under a hoody. If you were just to look at this image, you wouldn’t really get what the movie or character is about. But once I say that Chastain is playing a “deadly assassin” in the movie, your whole perspective on the still changes. Did she just violently beat someone up? Kill someone? What kind of revenge acts will she participate in in the movie? Because plot details are very quiet at the moment, so many questions comes to pass through this simple image. And like I said earlier, while she’s played many powerful roles in the past, this is one of her most exciting for me because of the action potential it has. How does Eve sound to you? Is it a story that feels too similar to you or does Chastain and the rest of the cast get you excited to see it? Do you hope it becomes a violent action thriller? Head down to the comments to leave your thoughts! Voltage Pictures is currently shopping the project around for a 2018 release date. First Teaser for Live-Action Adaptation of ‘The Lion King’ Has Finally Arrived!